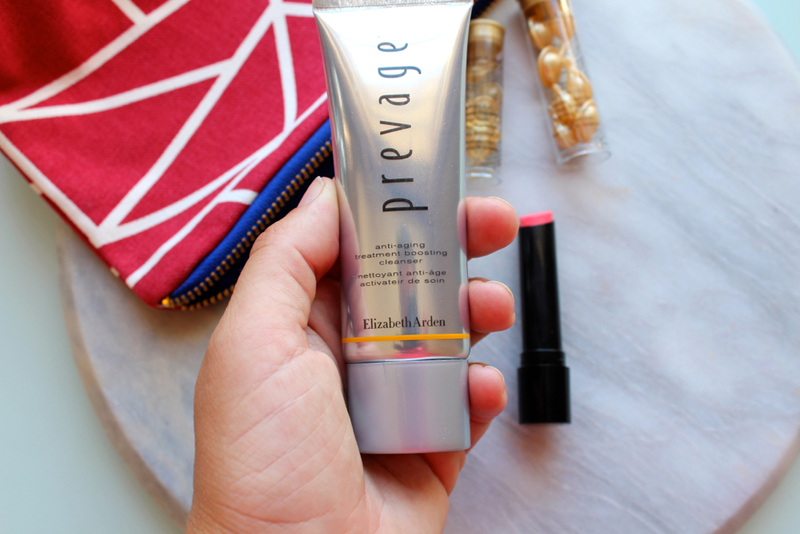 I literally have been posting new products every week from Elizabeth Arden because they are seriously on a roll with their skincare. 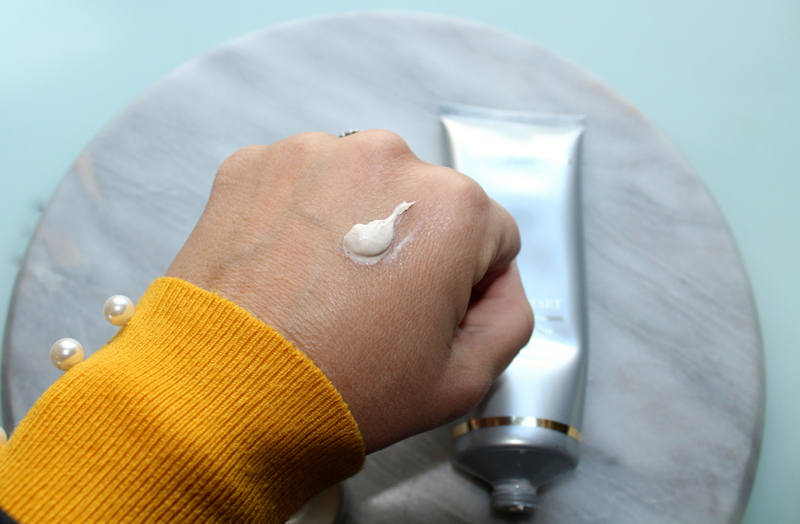 This week I am chatting about the gorgeous Elizabeth Arden Superstart Probiotic Cleanser Whip to Clay. My favourite part of my morning and evening is cleansing especially with this bad boy. Its an absolute winner leaving my skin feeling ridiculously amazing. The probiotic cleanser (R430) has been added to their Superstart range formulated to harness ther power of probiotics to cleanse and fortify the skin. Sometimes a cleanser can make my skin feel like it needs some extra hydration but not with this one. Its a whipped mousse cleanser that turns to clay when massaged all over the face. The Superstart Cleanser turns into a soft lather when in contact with water. Removes dirt, impurities and makeup without stripping or drying. Leaves skin feeling super soft and ready for the rest of your skincare routine. 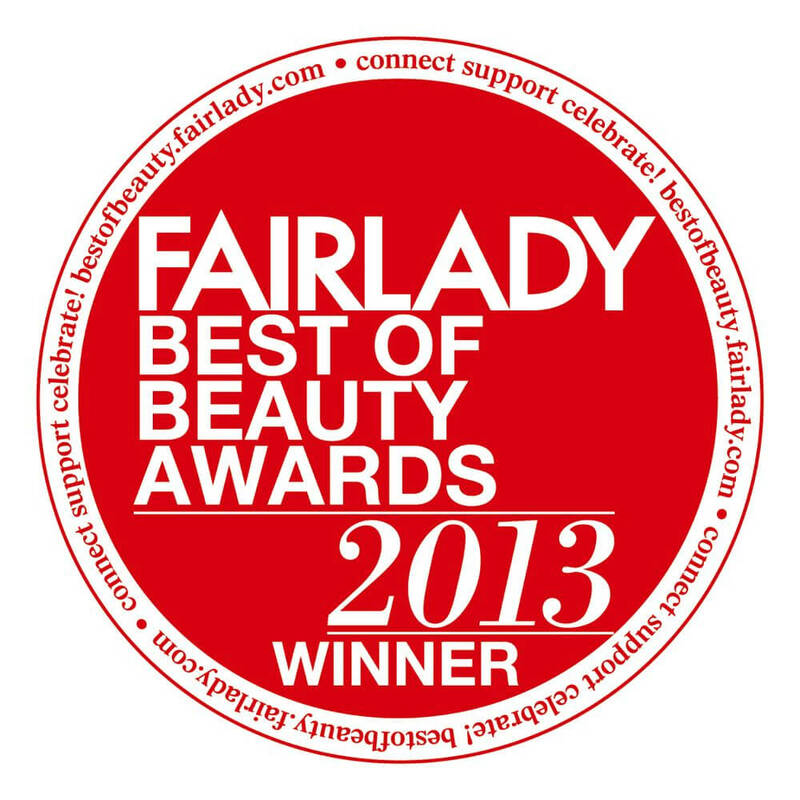 Probiotic Complex supports skin’s natural defences by adding good bacteria to the skin. Glycerin to help retain moisture. The best way to use massage it in and leave for a minute so it turns to clay and then wash off with water. The cleaner has a pink and grey clay from the French Volcanic Earth. 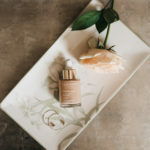 This double combo is what maintains the balance of the skin. The green clay unclogs pores and the pink boosts radiance and nourishes the skin. Good Bacteria is so important for our skin and with some cleansers the bacteria can be stripped from the skin. I love using it in the morning as my skin just feels amazing for the rest of ther day. Its the first thing I reach for when I step into the shower. LOVE LOVE LOVE. If you haven’t checked out the Superstart range then you are definitely missing out. I have so far tried the the Skin Renewal Booster and I love it waiting to try the masque that has had rave reviews. 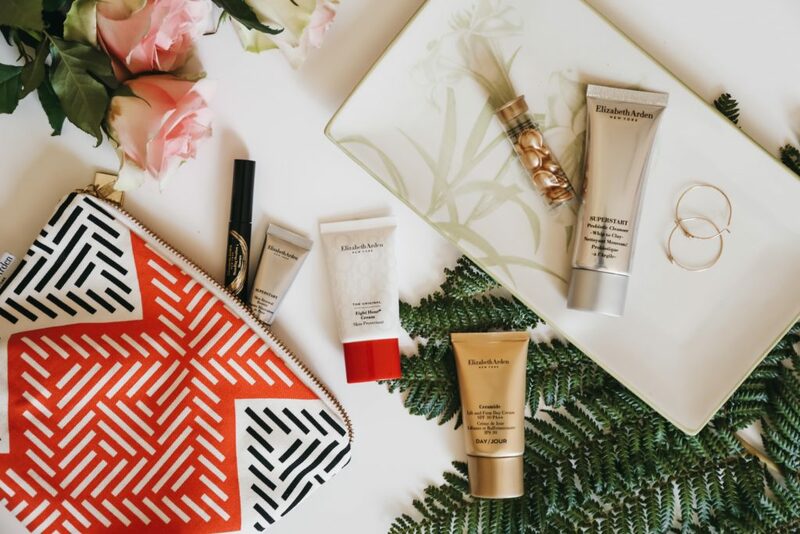 Its gift time again with Elizabeth Arden when you purchase two products that are either a moisturiser, foundation or serum. 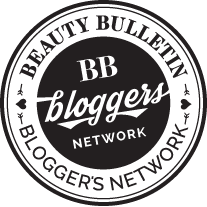 You get this gorgeous pouch with skincare goodies to take home which is a pretty good incentive if you ask me. Yet again the brand has come together with the Sparrow Society to make the pouches. 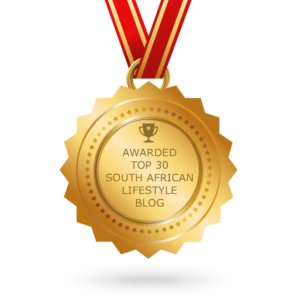 If you want to learn more and do a little shopping then click here.The Society creates opportunities to train the disadvantaged giving them skills to create amazing products. So what do you get in the bag? 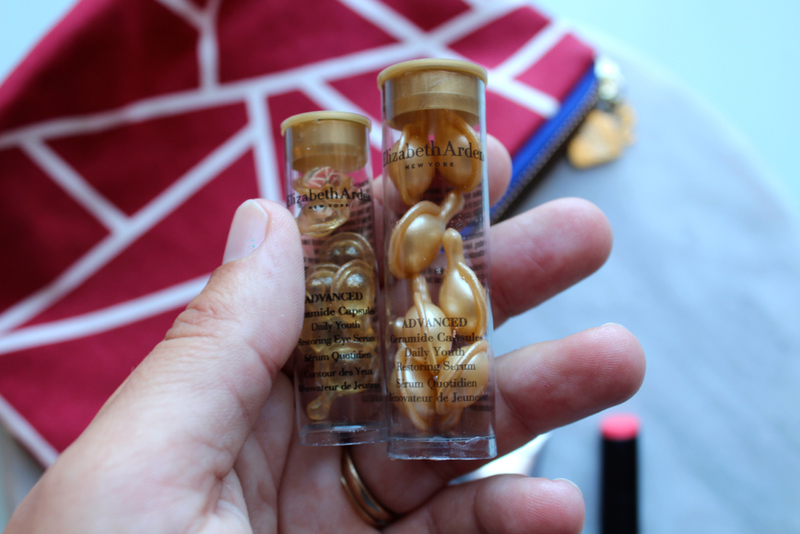 My favourite in mini versions the Advanced Ceramide Daily Youth Restoring Serum for the face and one for the eyes. Plus a mini Superstart Skin Renewal Booster. 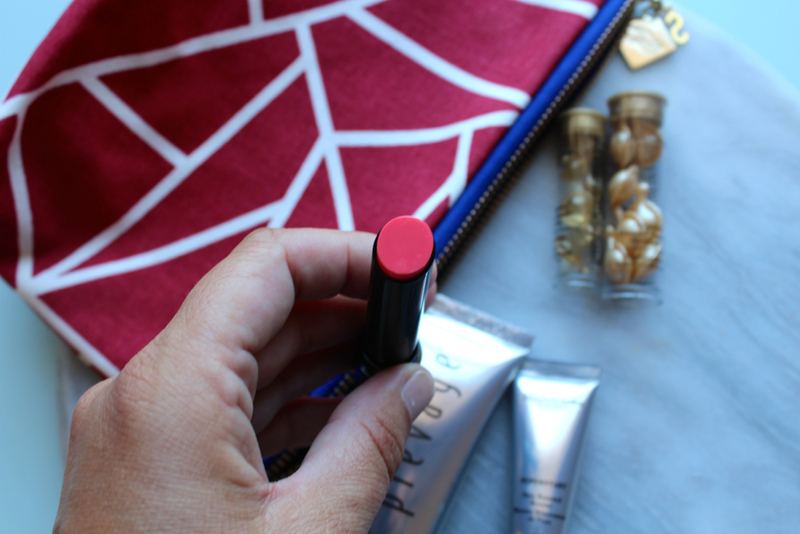 A mini Plush Up Gelato Lipstick in Strawberry Sorbet its a sheer lippie that is super hydrating and refreshing too. As well as travel size 50ml Anti-Ageing treatment booster cleanser. 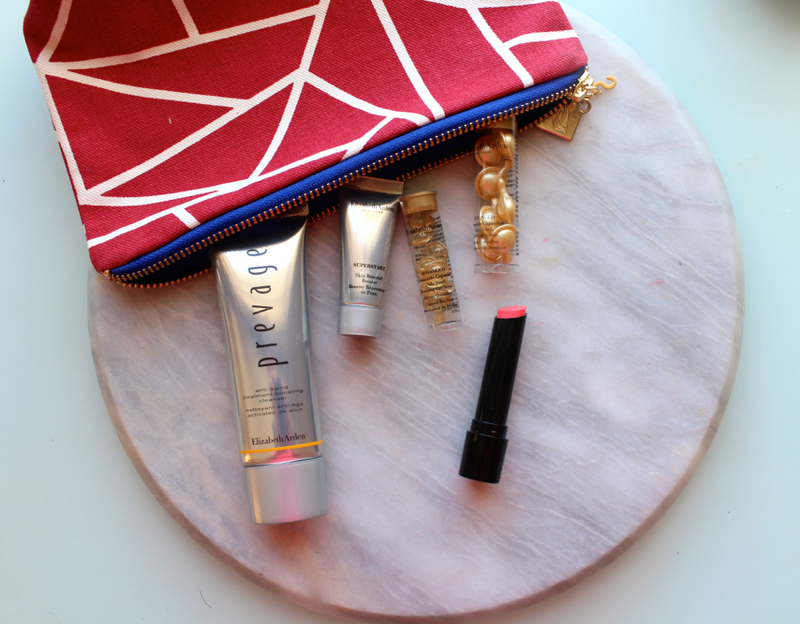 I haven’t tried this one yet but super sxcited as am a massive fan of the prevage range. Definitely a great extra if you looking to get new products adding extra value to your purchase. 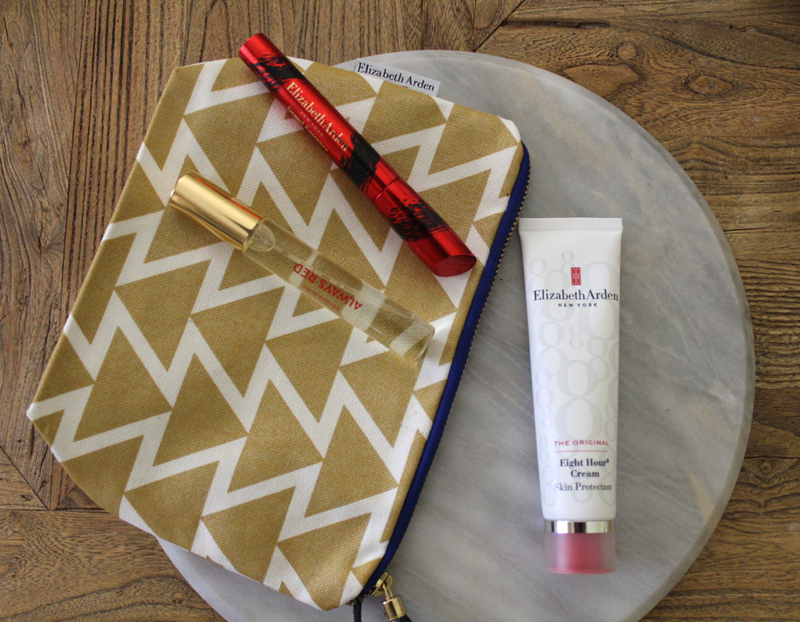 I love Elizabeth Arden skincare and makeup so really worth checking out. 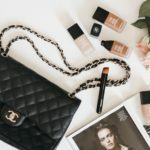 I always love when any new makeup lands on my desk especially when its a new mascara because as those of you who regularly read my blog this is one item I can’t live without. 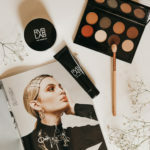 Elizabeth Ardens latest Grand Entrance Mascara gets a big thumbs up from me and will definitely be going in my personal stash. 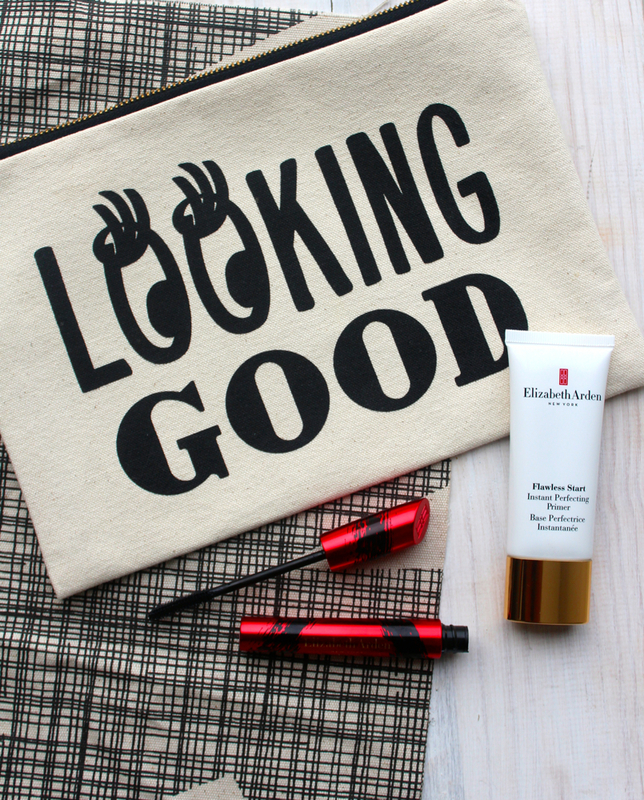 The Flawless Start Instant Perfecting primer will be heading our way in March. 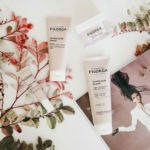 So for those of you who struggle with oily skin and hate that your foundation doesn’t last the distance this primer may be the one for you.